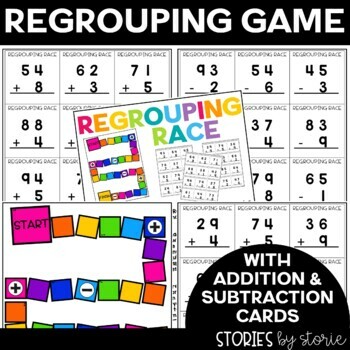 This math pack contains several ways to practice adding and subtracting 2-digit by 1-digit math problems both with and without regrouping. In this game, students will draw a card with a 2-digit by 1-digit math problem. Students will determine whether regrouping is needed to solve the problem and move around the board game accordingly. 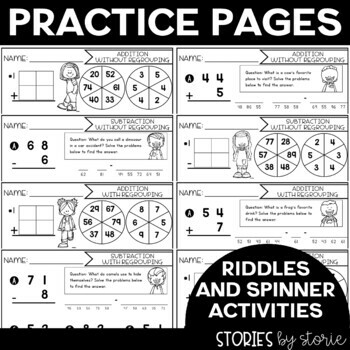 There are 8 practice pages with spinners included. On each page, students will use a paperclip and their pencil to spin and create a 2-digit by 1-digit math problem. Then students will solve this problem and repeat these steps until they have completed 10 math problems. 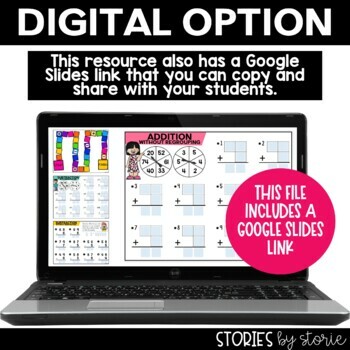 There are 2 practice pages for each skill (addition without regrouping, subtraction without regrouping, addition with regrouping, and subtraction with regrouping). There are 8 practice pages with a riddle at the top of each page. Students will solve all 10 problems on the page. Then students will use the letters next to each math problem to solve the riddle. 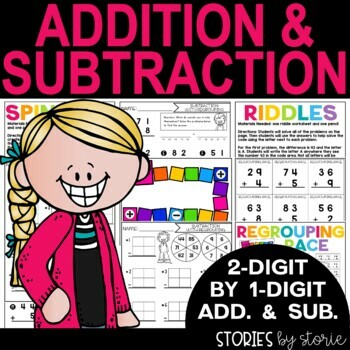 There are 2 practice pages for each skill (addition without regrouping, subtraction without regrouping, addition with regrouping, and subtraction with regrouping). Answer keys are included for these pages.